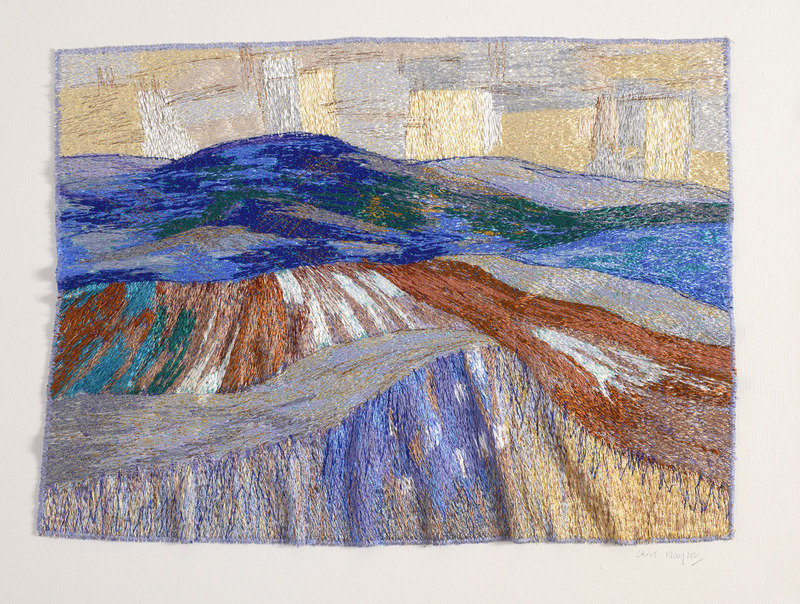 Textile artists, ideas and processes and where to resource these are important for us all. If you don’t know the website http://www.textileartist.org then do have a look. 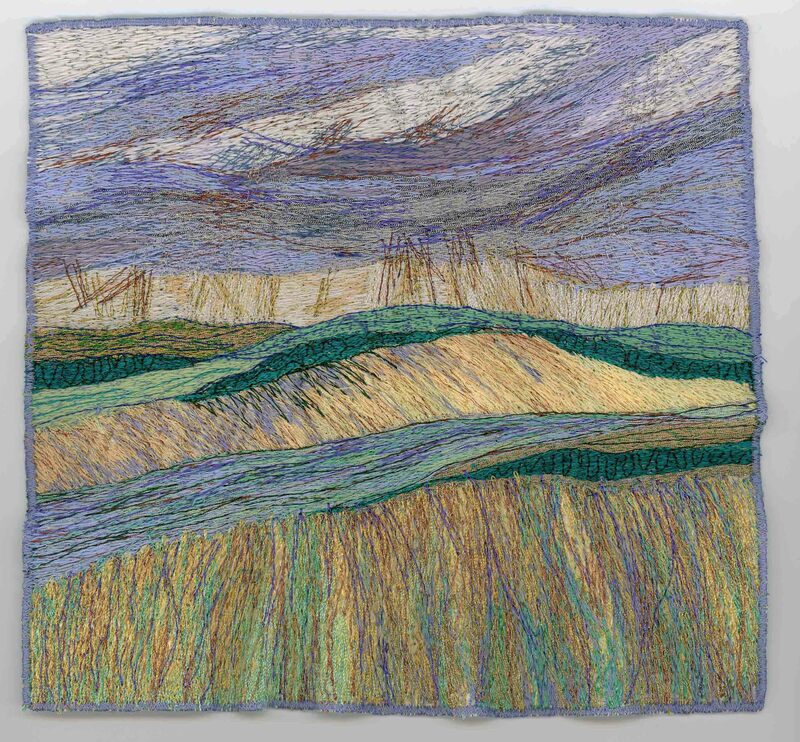 This excellent site has regular articles by practising textile artists, as well as articles offering advice about all sorts of textile matters. I’ve written three articles now for them and have been delighted by the response from visitors to the site from all over the globe. I’ve spent the last few weeks making a series of small works that I’ll be showing at exhibitions in the coming months, a couple follow for you as does a full image of a larger piece, Downs in Winter. I did put a detail of these on an earlier post but now I have a good image of the whole piece which also shows the framing process, attached to canvas in a box frame, unglazed. 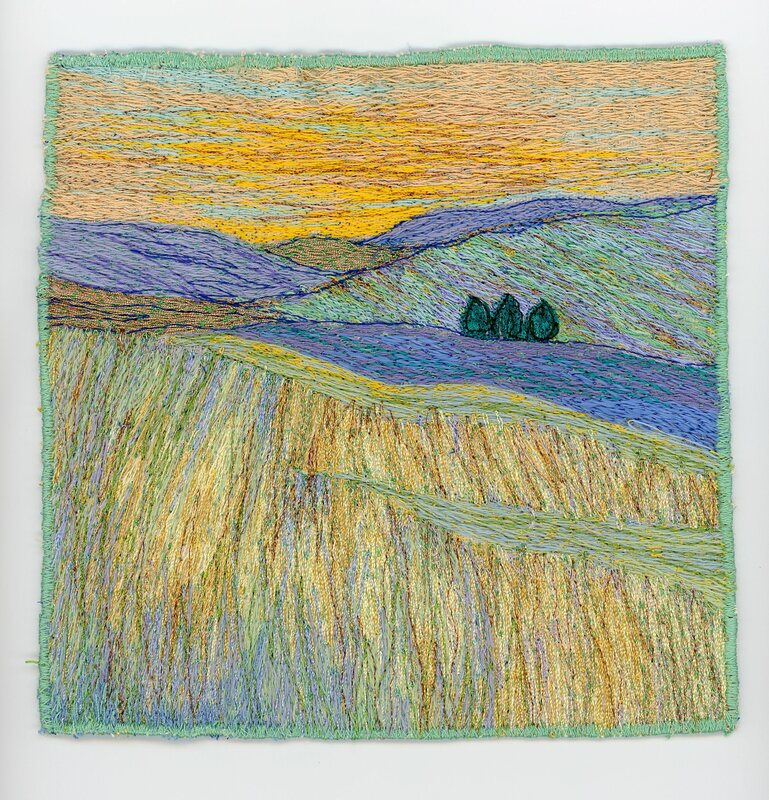 and here are the two small images from my new series, the first is called “Silver Lining” and the second is “Spring Light” part of my Spring sequence, maybe if I stitch it Spring will get here! A little off topic, but do you know anyone who does valuations of embroidery for insurance? sorry I dont really. I think it would depend on the nature of the work and what the insurance was for. Thanks, I didn’t know this site !